Keynotes reichern das Konferenzprogramm um Impulsvorträge an, die zum Nach- und Weiterdenken animieren sollen. Die SE & SWM 19 beginnt jeden Tag der Hauptkonferenz mit einer Keynote um 9.00. OpenGeoSys (OGS) is a scientific open source project for the development of numerical methods for the simulation of thermo-hydro-mechanical-chemical (THMC) processes in porous and fractured media. OGS is implemented in C++, it is object-oriented with an focus on the numerical solution of coupled multi-field problems (multi-physics). Parallel versions of OGS are available relying on both MPI concepts. Application areas of OGS in energy geosciences span from resources to waste management (e.g., water resources, geothermal energy, CO2 sequestration, geological waste deposition and energy storage). OGS is developed by the OpenGeoSys Community consisting of the core developer team at UFZs Environmental Informatics Department as well as users from national and international research facilities and universities. We employ a sophisticated approach to open-source software development enabling developers a rapid iteration on new implementations. The following aspects will be present in talk: OGS software engineering, continuous integration, quality assurance (GitHub, Jenkins Docker DSL). With the OGS setup large parts of the whole software engineering infrastructure and processes are formalized and defined via DSLs in version controllable code-repositories allowing for easy contributing to and peer-reviewing of the code, infrastructure and process levels breaking up the black-box behaviour of traditional testing setups. The user can obtain up-to-date quality-tested binaries, test data files and documentation inducing a rapid iteration between user feedback and developer implementation. A clear versioning scheme of both software and data as well as archived software binaries allow reproducibility of scientific results. Software versions can be cited with a digital object identifier (DOI). Bilke L. et al. (2019): Development workflows of the open-source porous media simulator OpenGeoSys, EGU General Assembly 2019, Vienna, Session ESSI3.1 – Free and Open Source Software (FOSS) for Earth and Space Science Informatics, accepted talk/poster. Bilke L. (2018): Open-source computational frameworks for the simulation of multi-physics processes in porous media, Transport in Porous Media, in revision. Fischer T. et al. (2015): GO2OGS 1.0: a versatile workflow to integrate complex geological information with fault data into numerical simulation models. Geosci. Model Dev. 8 (11), 3681 – 3694. Kolditz O. et al. (2018): Environmental Information Systems: Paving the Path for Digitally Facilitated Water Management (Water 4.0), Engineering, submitted. Kolditz O. et al. (2018): Workflows in Energy Geotechnics: Examples and Perspectives, 8. Int. Congress on Environmental Geotechnics, invited lecture, 28.10-01.11.2018, Hangzhou. Rink K. et al. (2018): Virtual geographic environments for water pollution control. Int. J. Digit. Earth 11 (4), 397 – 407. 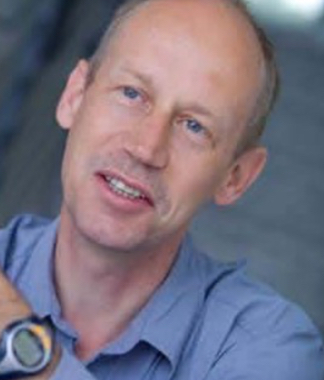 Prof. Kolditz is the head of the Department of Environmental Informatics at the Helmholtz Center for Environmental Research (UFZ). He holds a Chair in Applied Environmental System Analysis at the Technische Universität in Dresden. His research interests are related to environmental fluid mechanics, numerical methods and software engineering with applications in geotechnics, hydrology and energy storage. Prof. Kolditz is the lead scientist of the OpenGeoSys project (www.opengeosys.org), an open source scientific software platform for the numerical simulation of thermo-hydro-mechanical-chemical processes in porous media, in use worldwide. He studied theoretical mechanics and applied mathematics at the University of Kharkov, got a PhD in natural sciences from the Academy of Science of the GDR (in 1990) and earned his habilitation in engineering sciences from Hannover University (in 1996), where he became group leader at the Institute of Fluid Mechanics. Until 2001 he was full professor for Geohydrology and Hydroinformatics at Tübingen University and director of the international Master course in Applied Environmental Geosciences. Since 2007 he is the speaker of the Helmholtz graduate school for environmental research HIGRADE. Prof. Kolditz is Editor-in-Chief of two international journals Geothermal Energy (open access) and Environmental Earth Sciences (ISI). Prof. Kolditz is the leading scientist of the Sino-German network initiative “Research Centre for Environmental Information Science-RCEIS” dedicated to the development of comprehensive data integration and knowledge platforms in China (funded by the Helmholtz Association, in cooperation with the Chinese Academy of Sciences, Institute for Geographical Sciences and Natural Resources Research) and of the joint priority project “Managing Water Resources in Urban Catchments - Chaohu” linked to the Mega-Water Project (funded by the German Federal Ministry of Education and Research, in cooperation with the Tongji University). Prof. Kolditz was awarded a professorship under the CAS President's International Fellowship (PIFI) in 2015. Lab1886 – der Inkubator der Daimler AG. Wie wir neue, digitale Geschäftsmodelle entwickeln an einem Beispiel aus der Praxis. Zusammenfassung des Vortrags folgt noch. 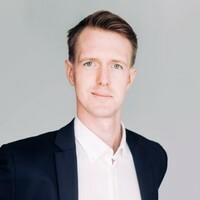 Jonas spent most of his professional life abroad at Microsoft in the AI Research organization, in both sales and engineering teams. Now being with the Lab 1886, he is working as the project lead on building new software businesses for the DAG. Nachhaltigkeit ist für die Gesellschaften unseres Planeten von grundlegender Bedeutung, ebenso wie Software Systeme immer mehr Teil der heutigen Gesellschaften werden. Daher gewinnt Nachhaltigkeit auch immer mehr an Relevanz im Software Engineering und es wurden erste Ansätze entwickelt, um Nachhaltigkeit bei dem Software System Design zu berücksichtigen. Dennoch bleibt es schwer die erst später eintreffenden Auswirkungen von Entscheidungen, die beim System Design getroffen werden, zu erkennen und zu bewerten. Um diese schwierige Aufgabe zu unterstützen, wird in der Keynote die Metapher „Sustainability Debt“ vorgestellt. Die Metapher hilft bei der Identifikation, Dokumentation und Kommunikation von Nachhaltigkeitsfragen im Software Engineering. Sie baut auf der bestehenden Metapher des „Technical Debt“ auf und erweitert diese um vier weitere Dimensionen der Nachhaltigkeit (individuell, sozial, ökologisch, ökonomisch). Neben der Bedeutung der Metapher Sustainability Debt und ihrer Verwendung im Software Engineering wird im Rahmen der Keynote auch darauf eingegangen wie im Software Engineering Entscheidungen getroffen werden. Da Entscheidungen im Rahmen des Sustainability Debts immer bedeuten einen Kompromiss zu schließen zwischen zeitnahen und entfernten Ergebnissen. Bei solchen intertemporalen Entscheidungen werden entfernte Ergebnisse oft als weniger bedeutsam bewertet als zeitnahe, was berücksichtigt werden muss, um eine entsprechende Entscheidungsunterstützung zur Verringerung des Sustainability Debts zu liefern. 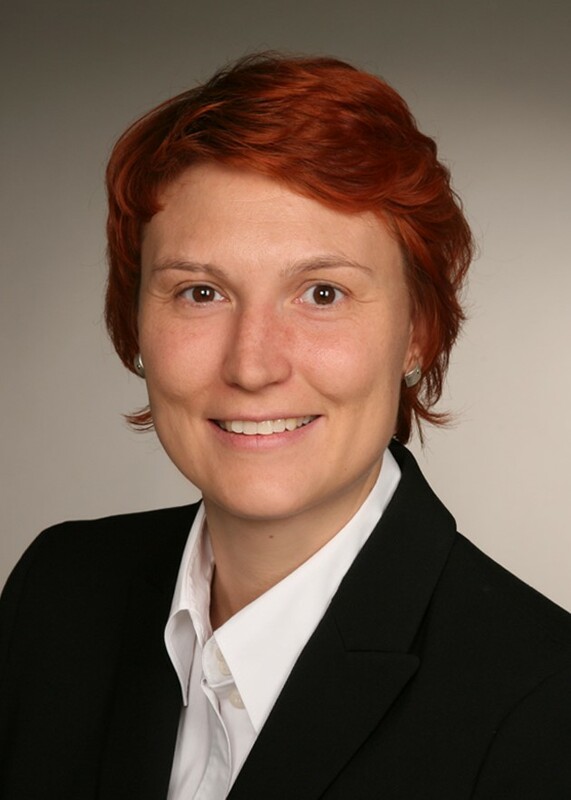 Dr. Stefanie Betz ist Professorin für Sozio-Informatik im Fachbereich Informatik der Hochschule Furtwangen. Ihre Forschung konzentriert sich auf nachhaltiges Software Systems Engineering, insbesondere aus der Sicht des Requirements Engineering und des Business Prozess Engineering. Frau Betz promovierte 2013 in angewandter Informatik am Karlsruher Institut für Technologie (KIT). Ihre Forschungsarbeiten wurden auf bedeutenden Konferenzen und in renommierten Zeitschriften veröffentlicht, darunter die International Conference on Software Engineering (ICSE), die International Requirements Engineering Conference (RE) und das Journal of Software and Systems (JSS), IEEE Software, Empirical Software Engineering und Expert Systems. Sie ist unter anderem Mitglied der internationalen ICT4S-Community, in der sie als Mitglied des Programmkomitees und als Reviewer für Konferenzen und Journals wie ICT4S, RE, JSS, Sustainability, Sustainable Computing, Informatics and Systems, und Empirical Software Engineering tätig ist.